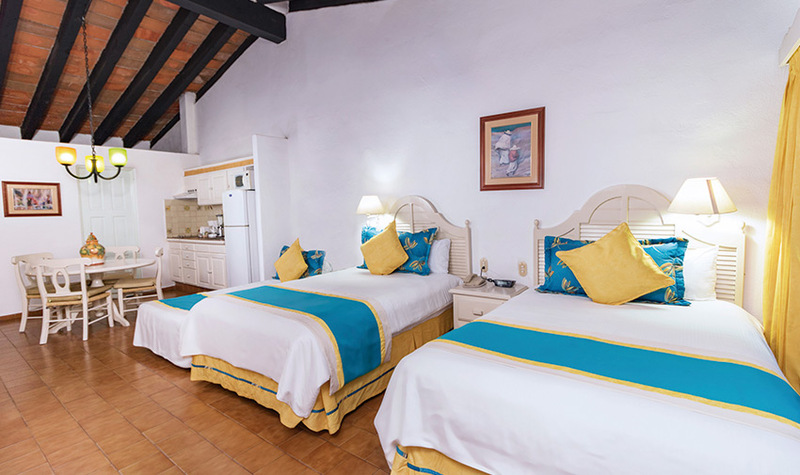 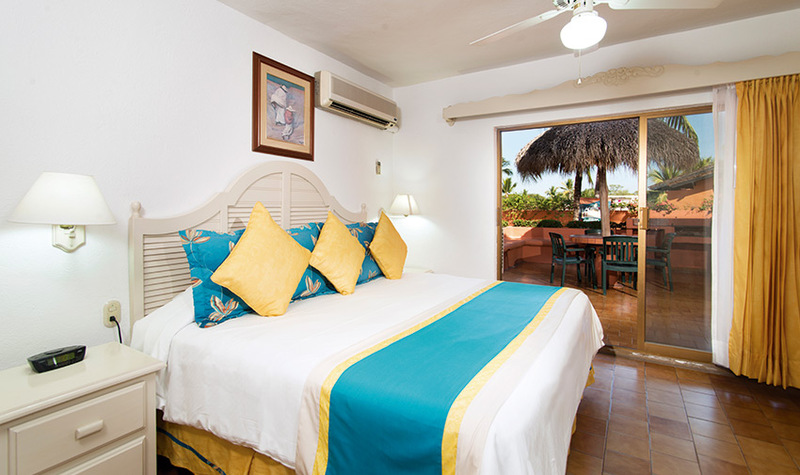 Enjoy two master bedrooms with a king size bed as well as a sofa bed in the living area in our Two Bedroom Suites at Villa del Mar Puerto Vallarta. 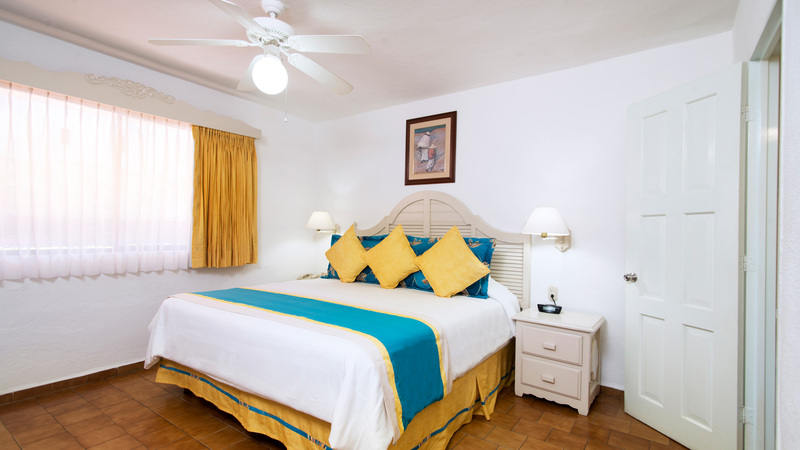 There are up to three full bathrooms (may vary by unit) with travertine marble décor and a bathtub and shower. 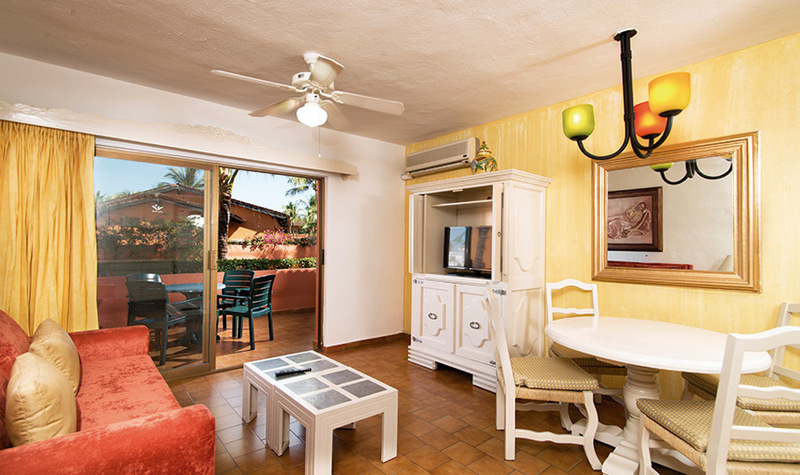 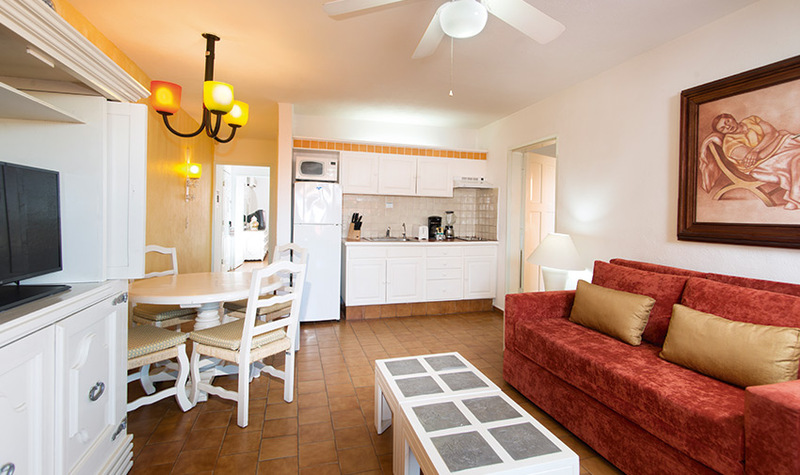 The suite also has a dining table for six, fully equipped kitchen and a balcony or terrace with furniture.